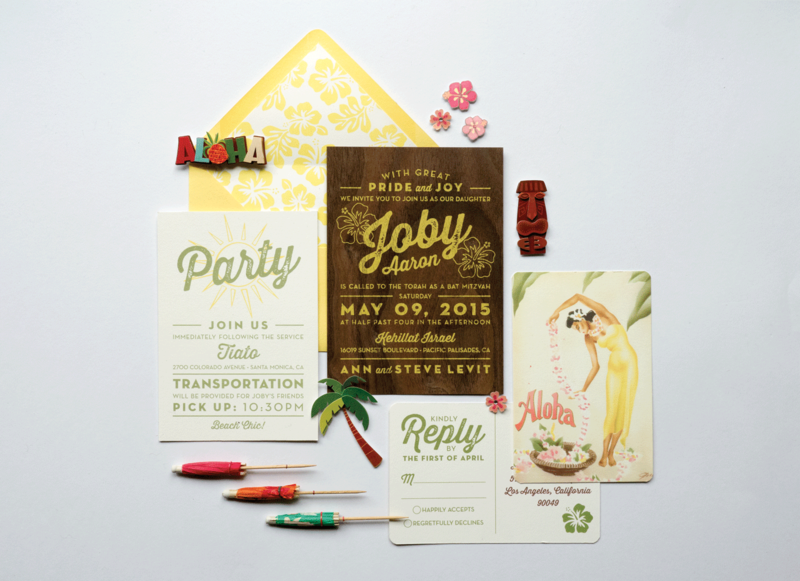 Everything about this Hawaiian inspired invitation says vintage. 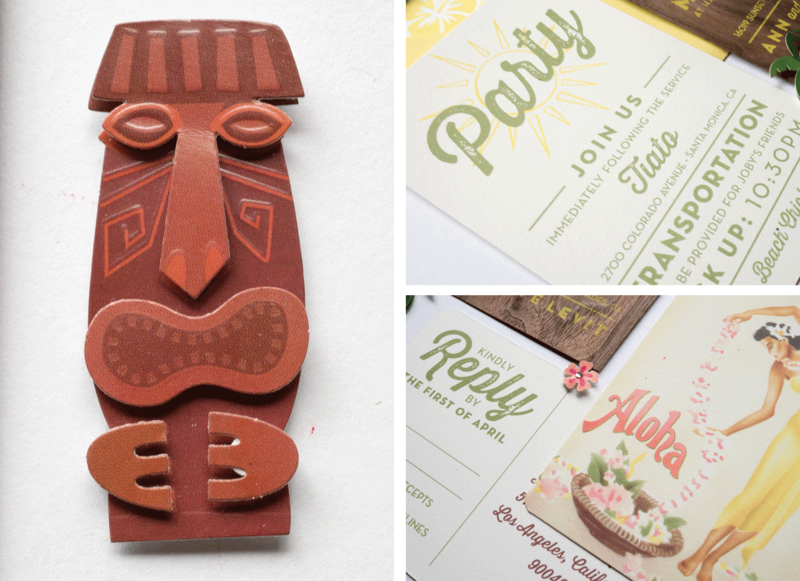 The distressed lettering, color palate and antique postcard are all reminiscent of old Hawaii. Screen printed wood and flat printed on cotton card stock. 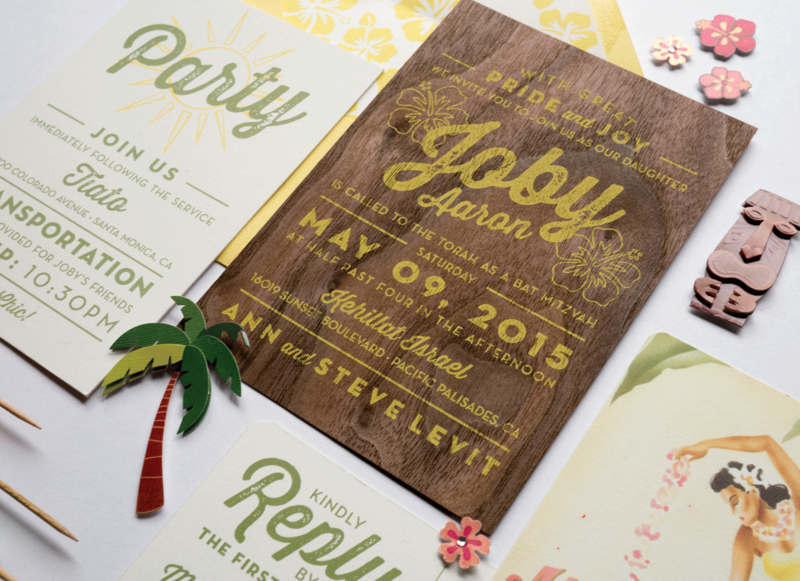 Bat Mitzvah suite included an invitation, custom lined envelope, party card and rsvp postcard.